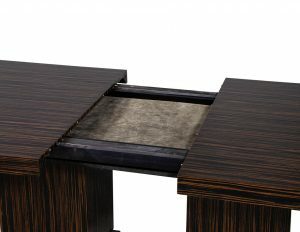 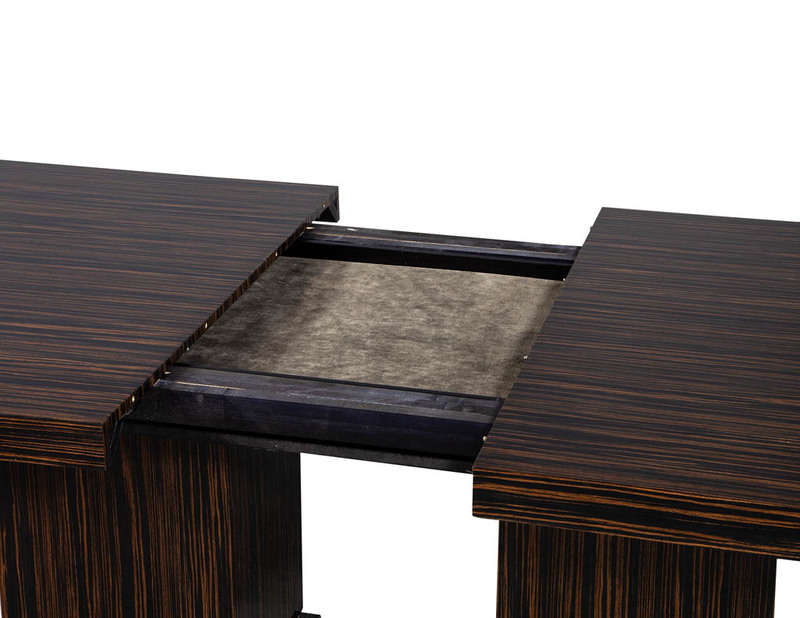 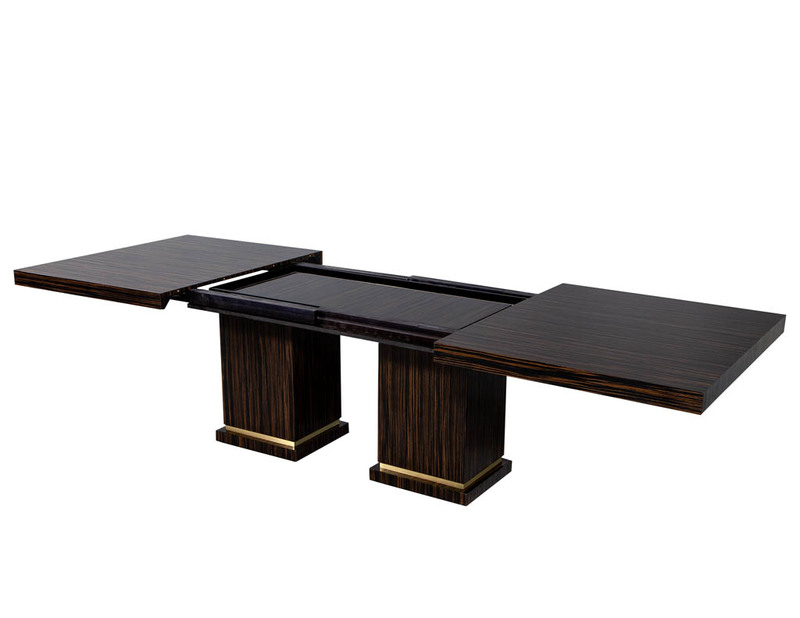 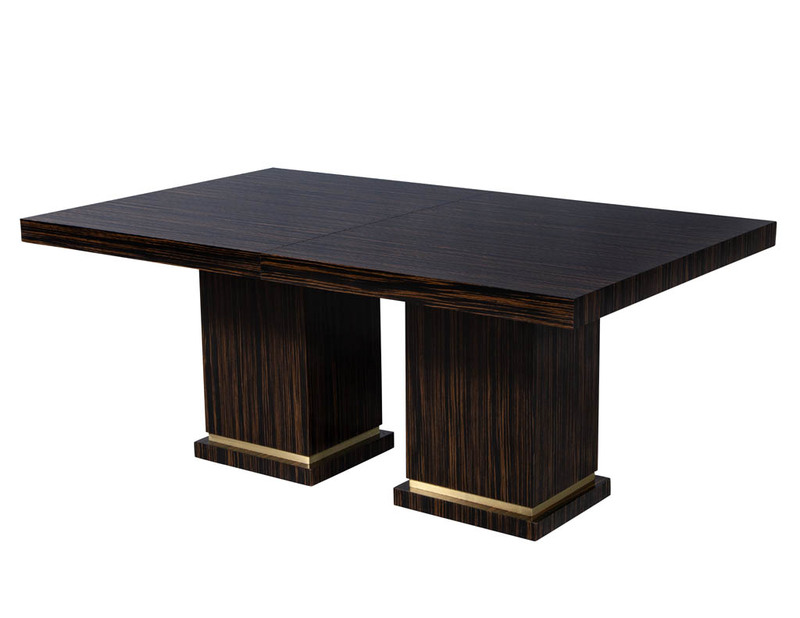 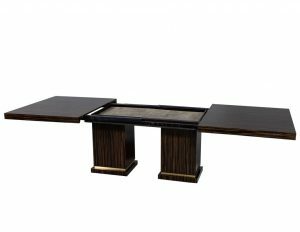 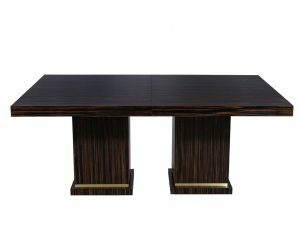 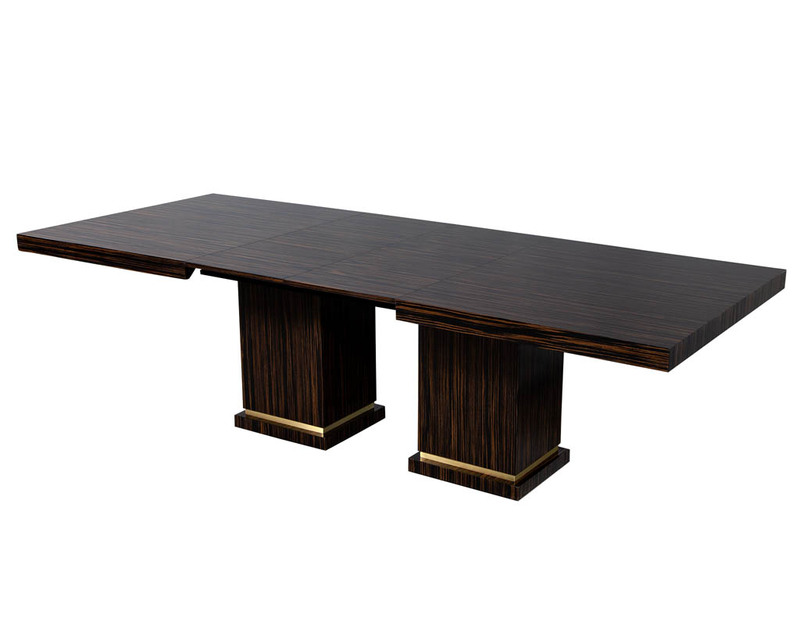 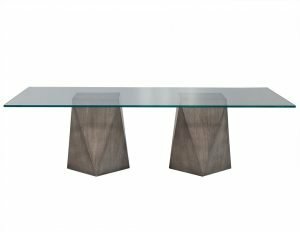 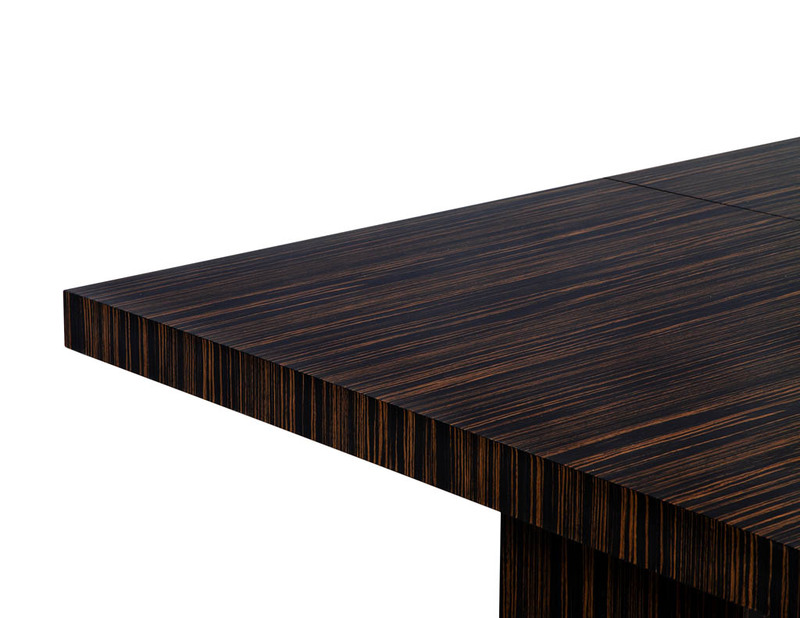 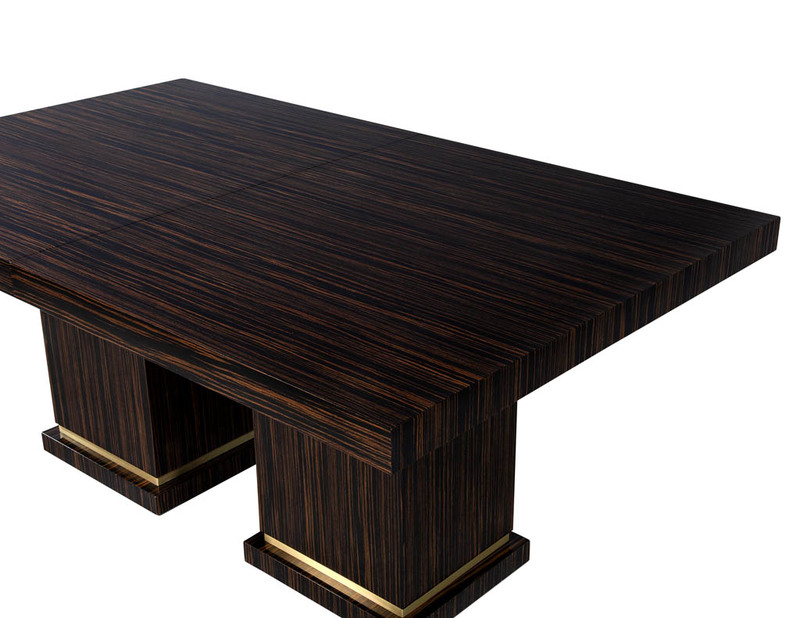 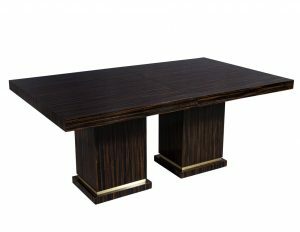 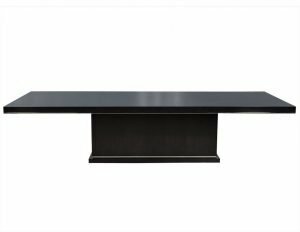 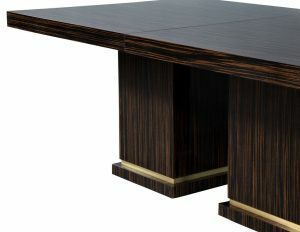 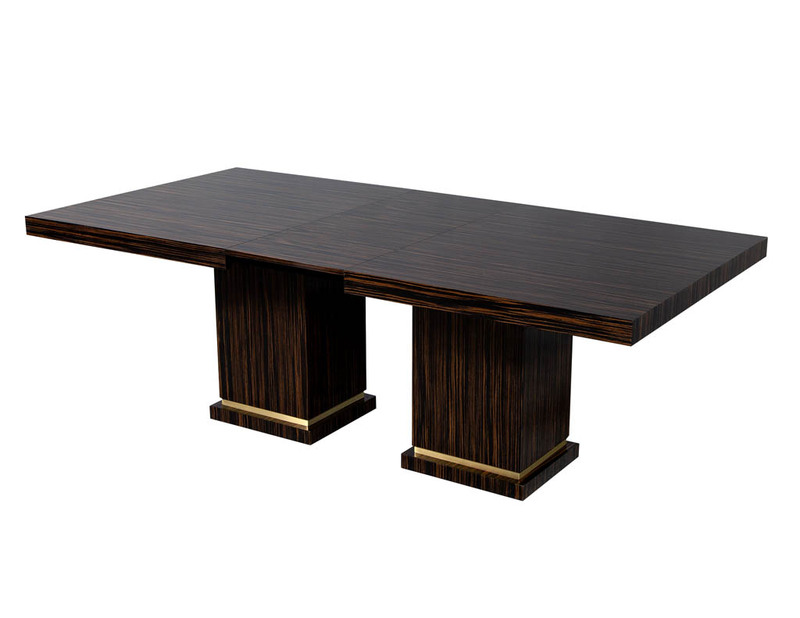 Carrocel Custom Modern Macassar Dining Table. New made to order dining table. 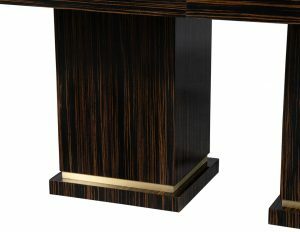 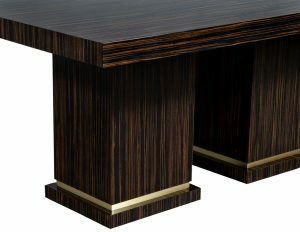 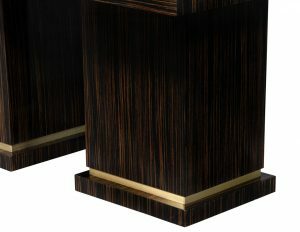 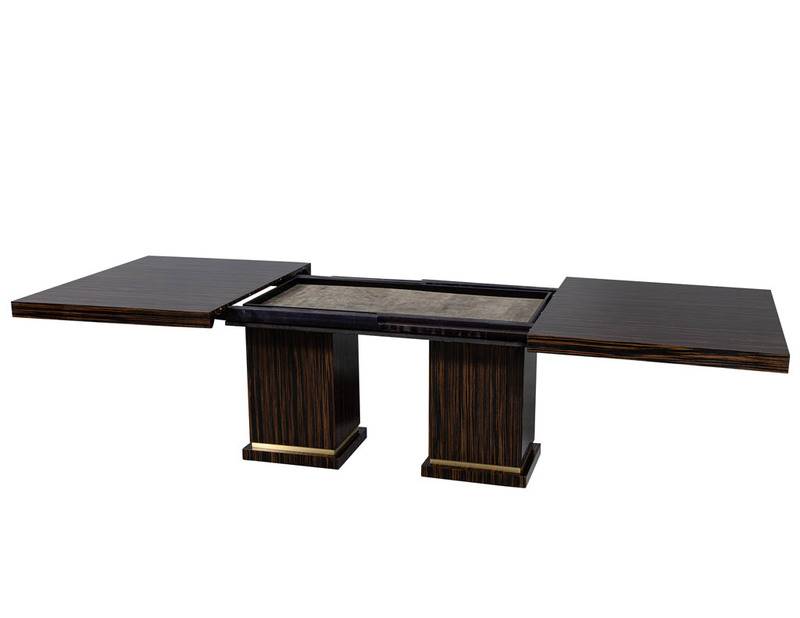 Modern sleek design with two pedestal columns accented with brass details. 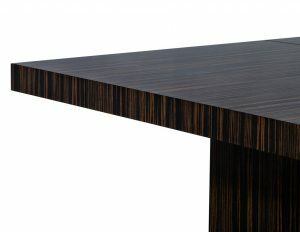 Table opens up for two table extensions which can be hidden and stored.